LONDON—Cringing at the mere thought of the ceremonial rite she would have to perform, Queen Elizabeth II told reporters Thursday she hopes to die before having to knight any DJs. 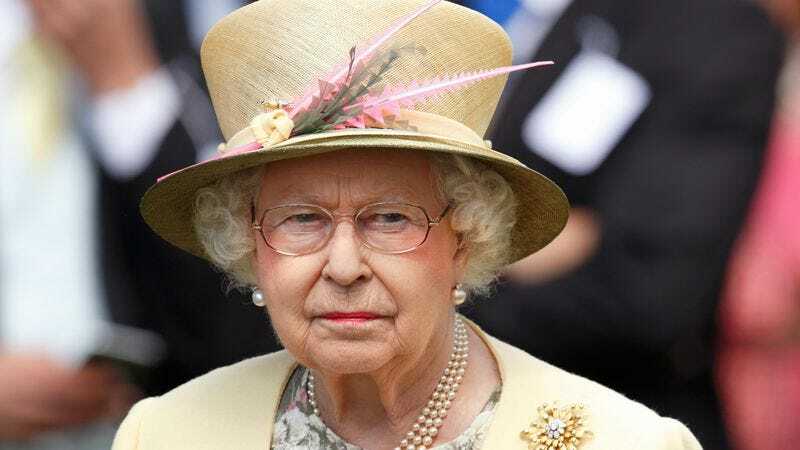 “God willing, I’ll pass away long before I’m ever called upon to bestow an honorary knighthood on Calvin Harris or Grooverider,” said the queen, adding that she would rather be entombed in the royal burial grounds than endure a ceremony in which she grants the highest honor in the British Empire to any club DJ in recognition of their contributions to dubstep, electro house, big beat, trip-hop, dance pop, or nu-funk. “It’s only a matter of time before the requests to knight all these trance and rave DJs start pouring in. I just pray I’m a goner and worms are eating away at my decaying corpse, because there’s simply no way I’m saying ‘I dub thee Sir Jackmaster.’” The queen went on to confirm that the complete collapse of the British monarchy was far more preferable than any member of the British Royal Family having to knight Fatboy Slim.